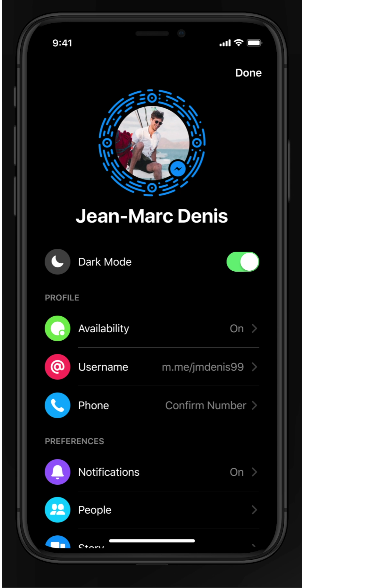 Facebook has announced that it is making its dark mode feature for Messenger available to all users today. The feature was first tested last year, but was only available to certain users in a small selection of countries. Facebook technically made the update available to all users last month, but it had to be activated through an Easter egg that involved sending a message containing a crescent moon emoji. Now, however, Facebook has made its dark mode available to all users through more traditional channels. To implement the new feature, you must tap on your profile picture to access your settings, from which you can toggle on dark mode. Beyond offering a dark aesthetic, Messenger’s dark mode also lowers the brightness of your display, which helps to cut down glare. Up next to be rolled out is WhatsApp dark mode.